Sunday 16th April 2017 – 8.20am – Murray MacGregor. Twenty five residents have been rescued after a large fire at a care home. All three emergency services were called Standon House Care Home in Ashby Road, Tamworth at 11.00pm last night Saturday. A rapid response vehicle was first on scene and quickly asked for multiple other resources to be sent. In addition, 5 ambulances were sent along with the MERIT Trauma Doctor, The Air Ambulance Service Critical Care Car, the Hazardous Area Response Team, two paramedic officers and an emergency preparedness manager to act as a national interagency liaison officer. A West Midlands Ambulance Service spokesman said: “The property has suffered very considerable damage, but fortunately, firefighters and staff were able to bring all of the residents out of the building. 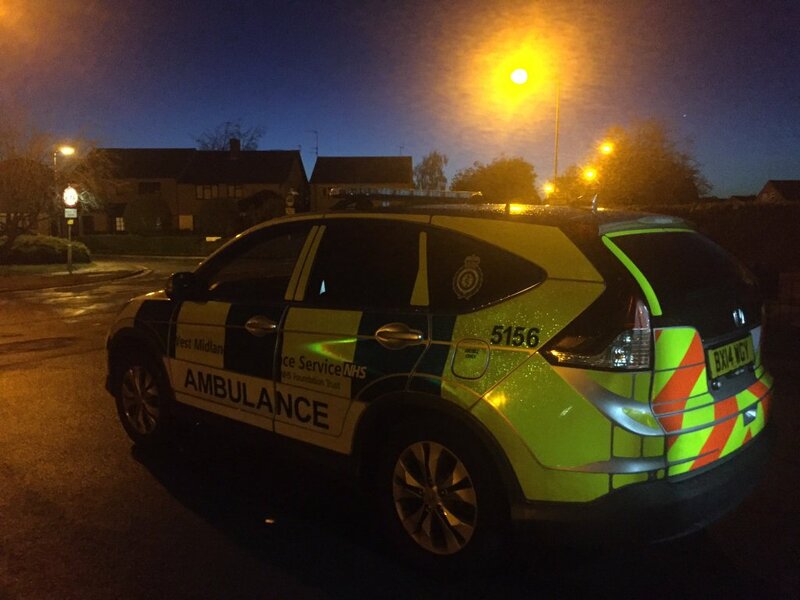 “After assessment at the scene by ambulance staff and the doctors, six patients were taken to Good Hope Hospital with a further patient taken to Queens Hospital in Burton. Two of the patients taken to Good Hope were in a serious condition. “A total of 16 other residents were rehoused within adjacent flats, but two residents were taken by ambulance to other care homes.